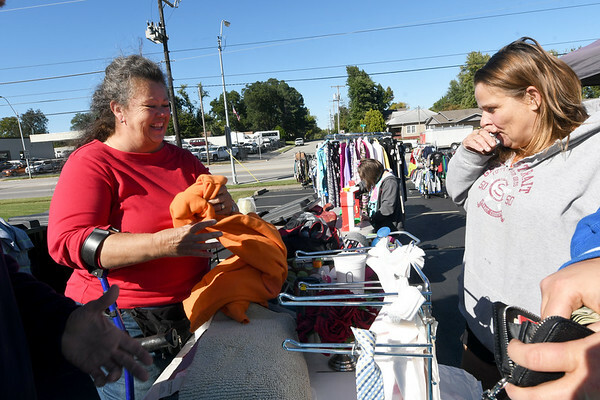 From the left: Gifts for the Nations ministry founder Debbie Cramer assists Kandy Firey with a purchase from the large selection of clothing during a benefit rummage sale on Thursday at Villa Heights Christian Church. Proceeds from the sale will go to benefit the ministry's disaster relief work, which has included disaster cleanup in various parts of the U.S. and Haiti and farming assistance in East Africa and many others. The sale continues through Saturday at the church, located at 2650 E. 7th St.